B. Thomas (Arlington, Texas, United States) on 14 April 2019 in Plant & Nature. 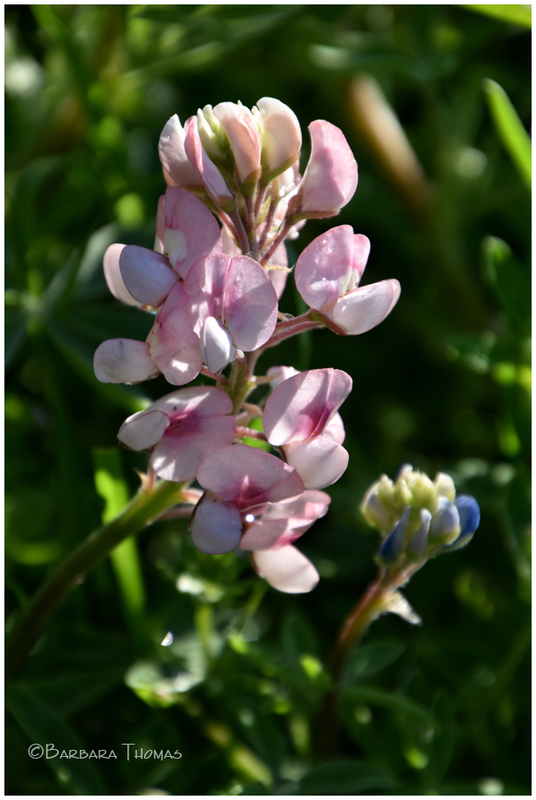 Last look at the rare pink bluebonnets that turned up in my yard for the first time ever. Limited or no internet access. **Scheduled to arrive home today but flights canceled due to storms at home in Texas so we are stranded in Seattle. Funny that I had already pre-posted a shot of storm clouds at home for tomorrow. @By Marie: Thanks. I’m stranded at airport in Seattle due to storms in Texas last night. Very nice capture of this flower. This is a beautiful composition with gorgeous color. I hope that you get home safely. We are supposed to have strong storms later today. What fun. I wonder how the color changed.